The company deals in the finest quality Slide Units in the national market. The Industrial Slide Assemblies made available by the company is especially designed as per the demand of the clients. They add a unique worth in the manufacturing unit where they are being used. 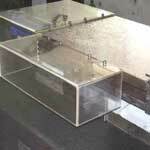 Besides, we are one of the leading Exporters and Slide Units Manufacturer in India. Rigid base with cast iron carriage top. 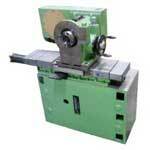 Universal design suitable for varied application like, milling, boring grinding, drilling, reaming etc. Standard with case hardened and ground guide, Optionally with LM guides. Options of different feed system like, hydraulic, pneumatic, ball screw, lead screw as per customer requirements. We design and built slide units up to 4mtr stroke, 2000mm wide based on customer requirements.